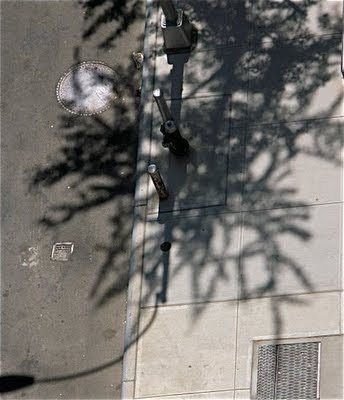 Great photos by Margaret Gosden showing the shadow of a Ginkgo tree. Shot from her 10th floor kitchen window. Location: 12th Street between 4th and 3rd Avenue, New York City. Thank you. How did you find me? I am just finding out that only commenters who have a google account can reach me - I recently changed my template so that I could enlarge my photographs, but my former html facilities didn't come with it! I am glad you liked the reference to the ginkgo tree - NYC has many of them and I thought they were an Asian tree?